Yes, Lake Powell can be your back yard with this lot. 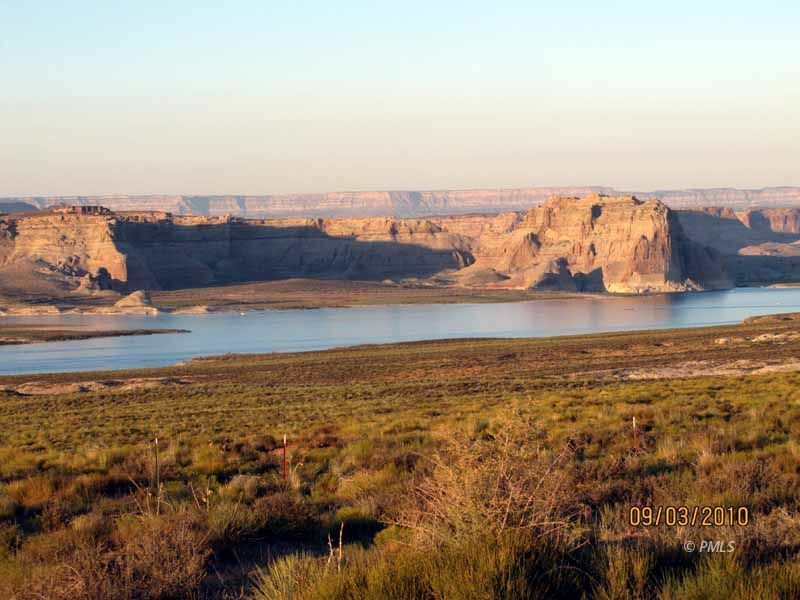 Ready to build your dream home with views of Lake Powell. This .45 acre lot backs right up the the Glen Canyon Recreation Area and gives you a wonderful feeling of privacy. Located in Lake Powell View Properties at Greenehaven which is a planned development community with CC&R's, Unit V, known as San Juan Canyon, features lots for building single-family homes of over 2,500 SF. From your deck, look out at your unblockable view of the Kaiparowits Plateau and envision the dinosaurs that once roamed and foraged right where you're looking. Jump up, grab a loved one and visit any of those sites in only minutes. When you purchase the future, the past comes with it! Better yet, hit the Lake. FUN - FUN - Fun. Underground curbside utilities are in place. Students are bused to Page schools. Call for more information.